What's that frontline, Duties and Responsibilities frontline, Special Duties Special Duties Teller and Customer Service." Frontliner is a category of work in a company usually banking and other services services. Generally frontline duty to serve the customer directly. Positions in frontline category could include: CS or Customer Service, Receptionist, Sales. The task of a bank front liners in general is to provide clear and complete information to customers or prospective customers of a bank. In the banking world, Frontliner is a category of functions jabantan job at the bank itself. Type of position / positions that can be categorized as a frontline in a bank that is including is a customer service and teller. A good Teller should arrive on time according to clock in, make sure all the equipment works well (money counting machines, counterfeit money pngecek tool pens, etc.). If there are customers it should be friendly, give greeting (good morning / afternoon / evening, to thank if completed), gave a smile at the beginning and end of the meeting. If there is a customer wants to deposit / withdraw cash, the tellers shall count the money, confirming the amount of money to the customer, calculating the money in front of customers Perform non-cash payments / cash to customers who transact non-cash / cash at bank counters, and update the transaction data in the bank's computer system. After completion of the process of deposit / withdrawal slip tellers are required to provide a receipt / proof to customers who signed as a signature and ratification Responsible for the correspondence between the amount of cash in the system with cash in the terminals. Carry out other tasks designated supervisor. Positions in Customer Servise and Teller is part of Frontliner because the function of the frontline is the spearhead of a bank for dealing directly with customers and prospective customers, and therefore the officer or Staff Frontliners expected to always give the impression that draw every time. A Frontliner also required to always give the best impression to the customer, have the ability informative to customers, attractive, and able to work together with the team and work alone, have good communication skills and clear. 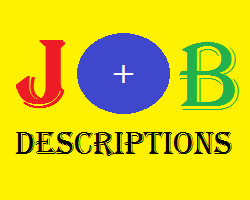 Belum ada Komentar untuk "Jobs Descriptions of Frontline Bank"